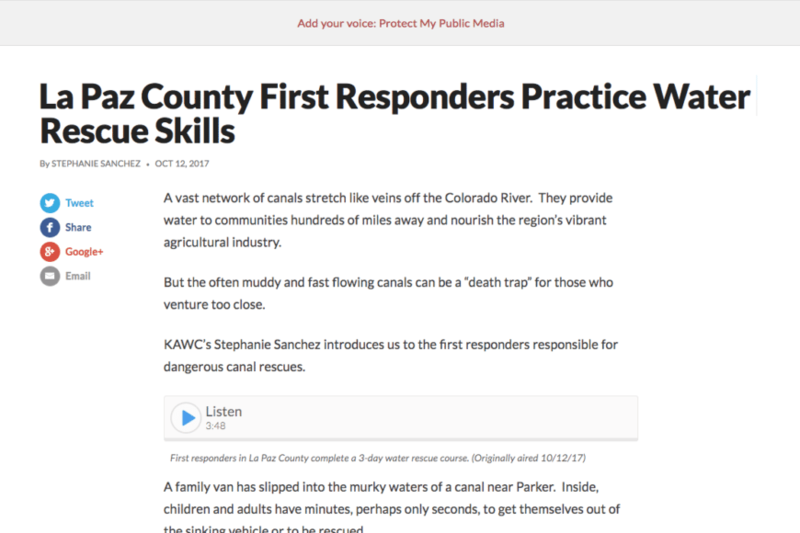 [Click here] to listen and read the KAWC News NPR Interview from the 2017 Dive Rescue Seminar with La Paz County Dive Search and Rescue Team on the KAWC news website. Click the link below to read the Article at the River Scene Magazine website. Local Fire Department Helps First Responders Learn Dive and Rescue Skills photo by River Scene Magazine.